It is Show Us Your Life time again and I am excited! This is Fashion Tip Friday! I do not claim to be a fashion guru by any stretch of any one's imagination. I do try to pay attention to what is going on around me in the world of fashion (not like runway fashion, that is a bit over the top, more like the current trends or mvps of looking good.) In my family, being the fashion queen does not really require much...my oldest sister actually showed up at the beach this summer in acid washed, zipper pocketed shorts (and yes, I took a picture, but I want her to still like me, so I am not posting it...but I do have it for my application for What Not to Wear), my other sister never wears make-up (and no, your "Glow" doesn't count! ), has mainly sweat pants in her closet and thinks accessorizing is of the devil, and my brother...well, he is a boy! Pay attention to what you are seeing around you. If everyone is wearing crop pants...then by all means...go for it. But if YOU are the only one wearing them...or at least the tapered legged ones, then maybe you should check out what Daisy Fuentes is offering at Kohl's or what kind of pants the Gap is currently carrying. 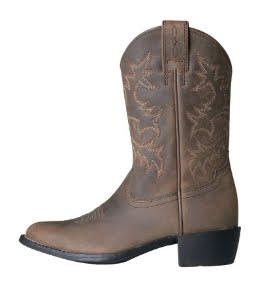 or these or even these. Find good fitting pants and buy your basics...I don't recommend really busy pants 1.Is that really somewhere you want a pattern going on? 2. Is that where you want to attract all of your attention? If it is...then give a shout out to yourself. You go girl. If not, stay solid. Add your funky, fun, bright colors to your tops, jackets, purses, shoes and jewelry. Be creative with your tops. Solid colors are not the only thing out there. Spice it up. Like this. Or this. Or even this. accessorize! Purses like this, with a necklace like this, paired with this shirt and these pants, shoes, and more jewelry like this and you are stylin'!!!! Now, if all that clicking above is too much for you, or actually going to a store and finding all of this on your own is overwhelming, there are places that put outfits together for you. And there are many more, that would not let me copy their pictures... :). Don't settle. Show off your best assets. And...accessorize!!!!!! Ok...this is going to be incredibly random and will serve you no purpose. I hate to say that at the beginning because you may just leave now...but I felt I should be honest with you from the get go! And just to add insult to injury...all the pictures were taken with my cell phone. First...Caroline was distraught that the toilet paper had run out. 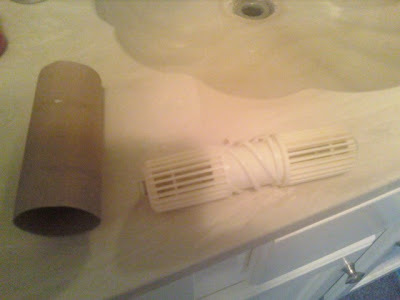 She took it off the roll and brought me the empty tube and asked me to help. 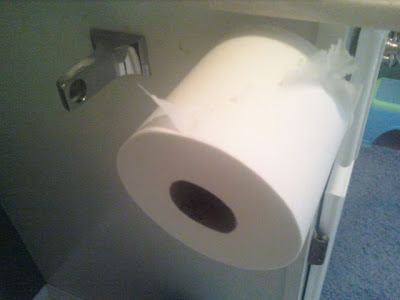 Well, usually, I would have gone right to her side and helped her replace the empty roll with a full one. But you see, I was working out...doing the Wave... (check this post out if you don't remember) and to stop that workout would mean I would never go back to it...so I told her I would be there when I was finished. She nodded her head and mumbled something under her breath and walked away. THAT picture CRACKED me up! OK...so onto more randomness. 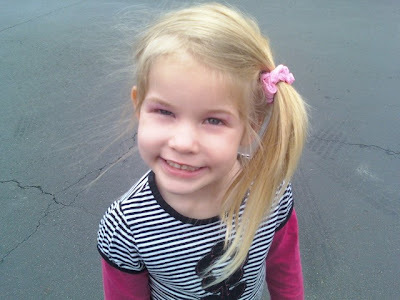 Each day this week when I go to pick up Caroline, she is sportin' a new do and has pink eye shadow on which tends to resemble someone who is sick and in desperate need of medical attention. All of this is thanks to the sweet daughter of the sweet lady who watches Caroline everyday. I guess the 80s really are coming back...at least according to the 8 year old doing my 4 year old's hair this week. Oh my goodness...I cannot take side ponytails and large scrunchies. It goes against my very nature! I think he was about to throw that at me until he caught site of my teacher face. Then he turned around slowly and pegged his 80s Footloose and fancy free sister with it while she was busy cheering for him...cuz you know, she can't be a princess now! 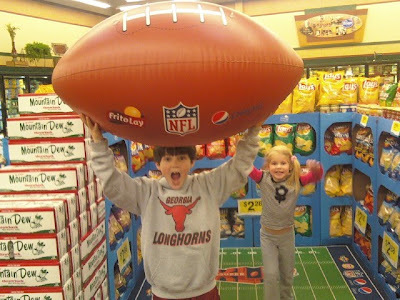 You know, I think their daddy has been teaching them how to put up the groceries effectively. And since this is a random post, let me end with a joke Will told me today. He said, "This guy went running into the doctor's office crying and saying, 'Doctor, doctor, you have to help me. I need a new booty and I need one right now!!' The doctor looked at him and asked, 'Why do you need a new booty?' The guy looked at the doctor and said, 'Because, doc, this one has a crack in it!'" Wishful Wednesday is a fun way to think about the things in our life that maybe we think could be different...hop over to Kelsey's blog to see how this all got started! 'I wish' .... I could spend three minutes in _____'s shoes! This one was really hard for me! There is always someone that you think isn't doing their job, or isn't living up to their potential or who you are afraid is going to make a mistake and you want to choose for them. But to walk in someone elses shoes? I often say I wish _______ would walk one day in mine...but that is for selfish reasons. Since I can't even fill my own shoes on most days...why would I want to walk in someone elses? But at last, I have made a decision. Since I only have 3 minutes, I want to spend them in Alisyn Camerota's shoes. Who is that you ask? Well, "Alisyn Camerota serves as a co-host of "FOX & Friends First" and news anchor for "FOX & Friends."" She has a fast paced job and I figure three minutes in her shoes is like three days in mine! Her job looks like fun (though I know it is a lot of work...) and I would love to experience it. Just maybe not live. What about you? Whose shoes would you like to fill for only three minutes? 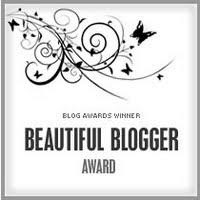 Short Southern Momma gave me the Beautiful Blogger Award. Thanks!!! I am honored! I'm supposed to tell 7 interesting things about myself and pass this award along to 7 other terrific bloggers! 1. I am an Army Brat and have moved 11 times in my life...however I have not moved AT ALL in the last 12 years!!! 3. I went on a long mission trip when I was in high school to Kenya, Africa. I slept in a tent in the "outback" of Kenya, walked 2 miles (each way) every day to our worksite and survived on peanut butter, carrots and Tang. 4. I have a Master's Degree from Coppin State University in Baltimore, MD, but I have never stepped foot on the campus. 5. I got my first cavity when I was 33. I cried. And my dentist told me we could call a tooth restoration if that made me feel better. And it did. 6. I love the TV show 24...I heart Jack Bauer! 7. I would love to be a guest on Law and Order SVU. Caroline came to me very distraught...she was so upset. More upset than I have ever seen her and she struggled with being able to tell me what was wrong. Finally she came out with, "Mommy!" 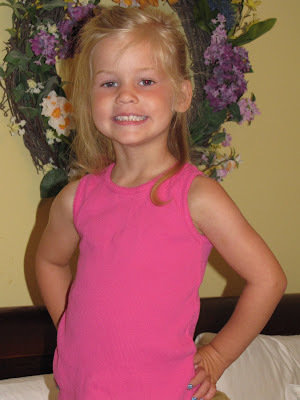 (read it very emphatically)...as her lip trembles, she says, "I am not allowed to marry daddy! And I want to....because I want to be a princess! Now, all I can be is a cheerleader!" But you would be such a cute cheerleader!!!! She just came running back into my room and announced that she is over the marrying thing...now, her problem is "my stomach is telling me that it is very hungry and my stomach's feelings are hurt because I won't give it any food. So, can I give it a fruit roll-up...cuz that's what it wants!?" :) -- Do princesses eat fruit roll-ups? We may just solved our dilemma! My child was not staring at my computer backdrop which did not look like a grassy mountain with a bright blue sky and she did not say, in all seriousness, "Mom, what do you think is on the other side of that mountain?" I did not think that was so sweet and kinda in-depth for a four year old. I did not smile at her and think, "What a dear, dear child." Then she did not say, "What if a guy rode a motorcycle over the mountain and fell off on the other side of the mountain and fell into water and an alligator ate him? I would want to watch that." Ok, good feeling gone. I was not sleeping the other morning and my child did not come barging into my room saying, "Mom, we were thoughting you were going to get up." :) I did not smile. 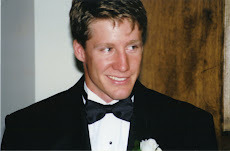 My son did not come to me the other day being very dramatic and saying, "Mom, it is a matter of life and death. Caroline has lost her credit cards." And then he did not turn around and leave. He was not followed by Caroline who came in crying that she could not buy her "stuff" because she had no credit cards...and she had looked everywhere. Could I give her some money? HA! I did NOT fall for that...I am not that gullable. I did not stay in my pajamas all day long on Sunday taking care of sick children and a sickly husband. I did not do next to nothing claiming I was resting up from all of the sickness around me. I did not manage to pull it off...sort of. Hopefully you do not have more going on than me...I would not love to hear about it. I learned how to make my pictures bigger...and I am so excited! So I thought I would share. 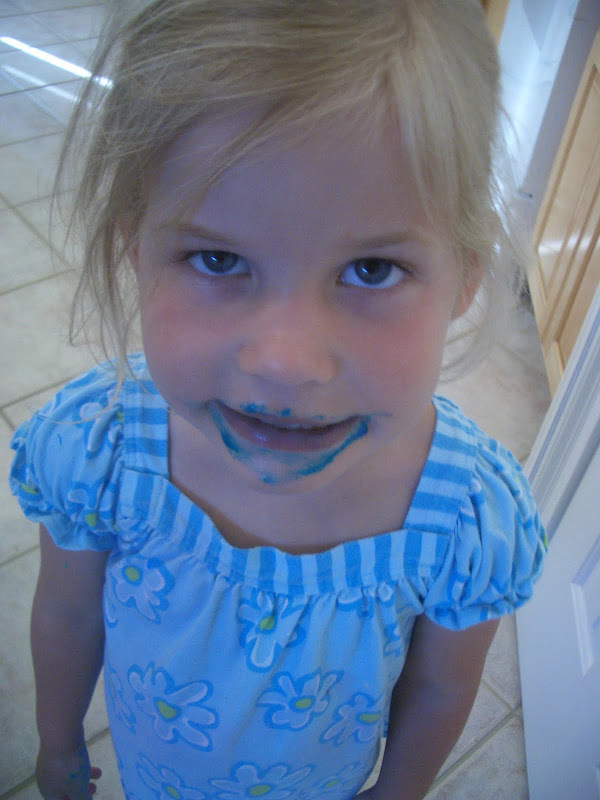 She really is cute with blue icing all over her face and now even more so now that she is in statue like size...don't you agree?!?!?! SHOPPING + ME = PERFECT DAY! I love Kelly Stamps' blog. And I have been reading it for awhile. 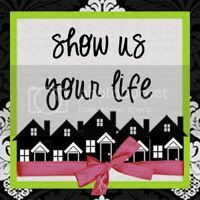 I have never, however, participated in a "Show Us Your Life" edition...mainly cuz the ones I have seen before were all about your house...and quite frankly, by Friday, my house is no where near "presentable". It did just dawn on me that I could have taken pictures of it right after I cleaned it and then I would not have to worry about what it looks like ON Friday...but that is really not an issue right now because THIS Show Us Your Life is all about SHOPPING!!!!! I love to shop. I heart shopping. Shopping + Me = contentment. Sad? Maybe. But I don't judge your pastimes. :) I love to get out and be around other people and shopping is a bonus. I have a magnet on my frig that says, "Shoes are God's way of saying He loves us and wants us to be happy." :) I love shoes. And purses. And jewelry. And clothes. So I will try to be quick about some of my favs! 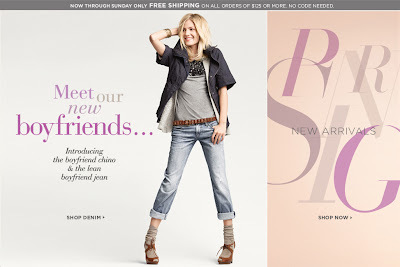 Clothes: I love Ann Taylor Loft. They have great clothes, well made, and great sales... :) I have been known not to wait for a sale when there is something I want, but that is ok...in moderation. 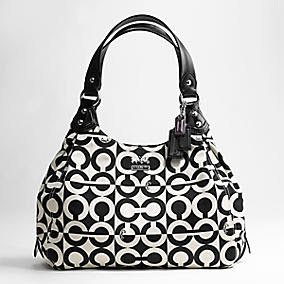 Ok...purses is where we might have an issue...I love Coach. I can't help it. My momma told me if I was gonna do something, do it right...and therefore I choose wisely. I know they are expensive and I do not have any defense for myself. I can only hope that you will still love me regardless. And last, but most certainly not least, jewelry. For those of you tempted to quit reading now, please don't. You need my help more than you know... :) Accessories are critical people. They bring outfits together...they help you make a statement. 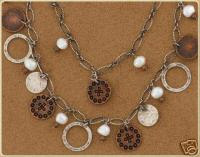 Currently I love, love, love, Silpada jewelry. It is gorgeous. But I will buy jewelry anywhere if it fits the need.. Ok...I gotta go find other new and cool places to shop! Join me over at Kelly's! 'I wish' .... I could have worn the gown that ______ wore at the 67th Annual Golden Globes Award! Ok, so mine should say, "I wish I could have the legs to the wear gown that Jennifer Anniston wore but in the color of Sandra Bullock's." :) See for yourself! Which gown would be your fav? This looks like it could be a very cool giveaway! I sure hope Teresa can make her computer work...but go take a look anyway! I did not save an announcement from a workout center for my husband…since he keeps complaining he is fat…I would not do that because that is mean! There was not a major disturbance in our neighborhood last week. There were not five police cars at a house and several others driving toward our neighborhood. I most certainly did NOT call my friend who has a police scanner and ask him to find out what was happening. That would be nosey! I did not just give the ok for my son to play on 2 different basketball teams. I would NEVER do that…that would be crazy and totally ridiculous. What kid needs to play on 2 teams? Not mine! I did not ask my class who took their reading test in pen because they did not put their name on it only to find out that was my key and I had forgotten to write “Key” at the top! I would never do that….I know what I am doing in my classroom! I did not wake up the other day to my alarm clock playing, “Love lift us up where we belong.” I did not hit snooze and then awake again to “On the wings of love”. I did not then ask my husband if we could go roller skating soon. He did not think I was crazy! My daughter did not wake up with some sort of spot on her face and when I asked her what it was she did not respond with something like this: “It is a booboo a booboo that is just there I don’t know how it happened my face just has a booboo mom so that is all I know except it itches a little but not too bad, but still it itches some but don’t touch it cuz it might hurt even though it itches, ok?” I did not just nod at her and move on because I could not understand her stream of consciousness speaking. My husband was not, shall we say, very insistent yesterday about how beautiful I looked. And by very insistent, I mean, he did not repeat it so many times that I did not finally realize he must be after "something". So I did not ask him what the deal was...after all I was NOT in sweats or anything else that may NOT be very attractive. He did not talk about the change in my face since I have been more consistent in exercising and he most CERTAINLY did not say, "Your face looks bett--" (better) and then did not stop suddenly and bury his face in the covers. He would never say better when he meant thinner...never...not my husband who apparently opens his mouth to switch feet! What has NOT been happening in your neck of the woods? You know that commericial that comes on right before school starts back in August from Office Depot where the kids are pushing the shopping cart and the dad is dancing and singing in the aisles, "It's the most wonderful time of the year"? Well, I hate the timing of that commercial, because I am the teacher. But that is another story. I could sing that song now though. I love this time of the year. More specifically, I love college basketball season. I am eat up with it, you might say. And I have passed on that love/obession to the wonderful child I call my firstborn, Will. He is all about college hoops...and now that some of his favorites have graduated on to the NBA, he is all about that too. He can't give you stats, like my nephew E can (I am not sure ANYONE can give stats like E...not even his ESPN basketball announcing dad! ), but nonetheless, Will loves the game of basketball. Do you know the history of basketball? When and why it started? Who played in the first college game? Who won the first national championship? Yeah, me neither. Maybe I will check with E next time I see him! All I know is I should have had my children sometime from December to April, because that would have made my maternity leave so much sweeter! But alas, I did not and that is not even the point. Will is loving basketball season this year. 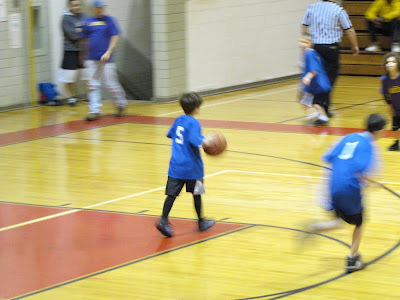 He is playing on a team at the local recreation center and is the ball handler (making his momma proud). His team is the Nets (which may or may not make his Uncle H proud). They are not very good. Most kids on his team have never played before. And by never, I mean never. Not in the backyard. Not in the gym at school. Not at a friend's house. Not even on a video game. So our expectations for a winning season were low when the games began. We did win the first game. 13-10...it was a nail biter. We lost the second though 26-7. After the first game, we were approached by the All-Star coach who asked us if we wanted to play on the All-Star team. Really? Seriously? The season just started... and we are already All-Starring it? But I talked with Mark and Will and then we gave a very enthusiastic yes! Then the ball (hahahaha) started rolling. Whew! Are you tired just reading it because I am? I know, you could say I brought it on myself and you are right...eat up with it, remember? Me: Play hard today, don't give up, keep your head in the game. Mark: Intensity, buddy, play big on defense. Defense is the key. Me: Hustle and pay attention. Be confident! Will's little head was bobbing back and forth between us and then he put is hand up and said, "Hey, I got one! How about, 'Make the team!'" I laughed out loud. So here's to you little boy...hope you make the team. Either way, you make this momma very proud! 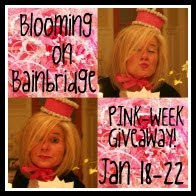 Ok...I think it is still overwhelming and I am just in my first week of it and already behind! LOL Tonight was the kitchen...I hate mopping. Just wanted to share that with you. This is all part of my trying to be more consistent phase...I am trying...really I am. 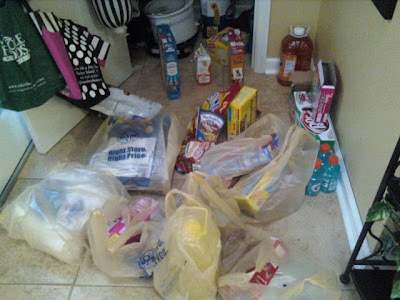 But I can't decide if it is better to be mad one day and be done or really try to clean like this weekly???? I still don't have a microwave...fried bacon again on the stove. I even have the grease burns on my hands to prove it. I sent my husband to find a microwave and my kids wanted to go with him. I gave my blessings...(well, duh). They all came home calling each other Larry. Everyone's name was Larry. There was no reason they could give for this, nothing specific triggered it but everyone was Larry. It got really confusing until I decided that I was the one in charge and we would all be returning to the names shown on our birth certificate. However, "Larry" told me when he got home that there were four cop cars down the road at a house...lights flashing...cops walking everywhere....he shrugged his shoulders and went about his merry way. I have no words...but I have double-bolted everything and have a call in to my friend with a police scanner...if you don't hear from me again...just know...this has been fun. I have loved blogging! Anyway, this grown man turns and walks back toward the corner of the street. My very astute, always vigilant four year old says, "Mom, he wasted his ways." I thought she meant he wasted his "waves" (you know, because we didn't turn and head straight into that tax office). I asked her what she meant. She said, "You know, he walked all the WAY this way, and now he is walking that WAY again. He wasted his ways, mom." It made me think. How do I, in any given day, waste my ways? You know, how do I waste my time? talent? money? opportunities? How are your ways? Wasted or not? 'I wish' .... I had the startup funds to build that company I have always dreamt about, and it would be _____! Not a company...it would be the money, time and (most importantly) the ability to write books (and be published!). My sister Leslie is foaming at the mouth right now because she has someone who does this for a living ready to read anything I want to send her to critique and give me helpful ideas...the problem is I have nothing to send her! I have toyed at the idea of a fiction novel...then put it down, then picked it back up...then thought about a children's book...I even have a great title for one...but then I get stopped by life. But that is my wish on this Wednesday...I wish I could be an author! I would love to have the opportunity to pray for you. Please leave me a comment and I will be honored to lift your request to our Lord. Blessings to you in 2010! I do NOT have to go back to work today...it is not really the first workday in almost 3 weeks....and I have NOT been whining about it all day. I did not ask my water savvy husband to maybe bust the water lines at my school so I could have another day. I would never do that. I am totally dedicated to my job. I did not attempt to plan a Disney vacation for my family tonight. I did not jokingly ask my husband if I could spend $9800 on said vacation...it did not totally freak him out and now I am not sure he will let me plan anything!!!! I did not say he is cheap to his face....(not over the $9800 one...THAT was a joke...)...I would not say such things to my husband (who has not been told that George Washington blinks when he comes out of his wallet because it is so tight in there)...anyway...that was so NOT me! I did not tell my daughter today that she could not could not cut her play dough with that bread knife. I did not have to then explain why she could not use that sharp knife. My children do NOT play with knives...what kind of mother would I be to let them play with knives? I did not have to tell my son that he had to put his clothes in the dirty clothes regardless of how much he loved what he was wearing. I did not have to explain that after you wear clothes all day long, then sleep in them and then wear them for another full day, that they definitely are in need of washing. That is just gross...I would NEVER let my kid do that! What have you NOT been doing this week? We have had a sad little weekend. We did get snow on Thursday and we went out to play in it (and by "we" I mean Mark and the kids). We got out of school on Friday, which was great because I felt like I had been run over by an 18-wheeler. I stayed in bed most of the day and the kids, bless their hearts, played very well together. 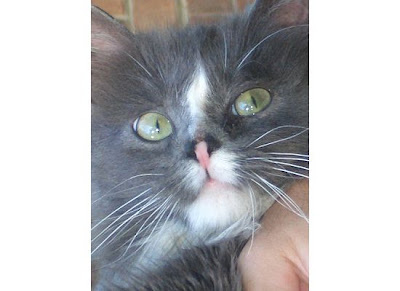 What we did not know up in our Vicks Vaporub stupor was that our poor little cat Piper was not doing well. He passed away sometime Friday. 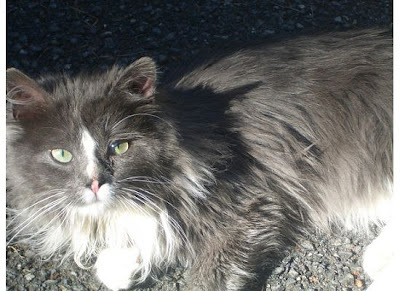 He had been acting strange for about 2 weeks and recently quit eating or drinking. I truly did not think he was sick enough to die. Since he is gone, I feel compelled to tell his little story. It was August 2008. Saturday. I was enjoying my early morning sleep when Mark ran into the room waking me up asking me if I heard that noise. Yes, I had been ignoring it for an hour...what in the world is it? He says that he thinks a cat is stuck in our drainpipe. I respond with, if he is so dumb to crawl up the pipe and can't get down, we should probably just let him die in there because he'll never make it in the outside world. I would soon find out how prophetic that statement was. I feel like I should interrupt myself and insert here that I am a dog person. Ok...so outside we go and Mark goes out to the driveway where the extension of the drainpipe is. I go up closer to the house where the extension is attached to the drainpipe. I am standing there watching, irritated because my kids are still sleeping and I COULD be sleeping but instead I am outside in the early morning 101 degree heat waiting to see this thing stuck in our pipe. I kinda got irritated at Mark's very little progress on detaching the extension from the drainpipe and so I say something like, "why don't you come up here and pull it off right here where it is attached?" POP! It is detached. And as it detaches he says something like, "Well, I am not sure that there isn't a snake attached to the end of whatever that is." I jumped over him to land very far back on the driveway just as a gray furry ball of stink flopped out of the pipe...with no snake attached. He crawled over to the nearest bush and huddled at the base shivering, but no longer crying. Mark grabs a towel and scoops it right up. Mark...my husband who is highly allergic to cats. He has me go get milk (which the cat would not drink) and then, you won't believe this, sends ME to the store to buy all I need for the cat. Reminder....I don't like cats. Mark is allergic. This one stinks and can't get out of a pipe! By the time I got back, the kids were up, the cat was bathed (and smelled like my children because Mark used their shampoo) and he was named...Piper. So cute. I miss the little guy too...even if I am a dog person. Daughter of the King, changed my life; trying to be a godly woman, mother and wife; Mother of two, a boy and girl; fourth grade teacher, what a whirl; faithful to trust, to believe and pray; listening to God, my direction each day; striving to make him known to the world; striving to be His kinda girl. Mark is my hard working, always playful husband who loves The University of South Carolina. 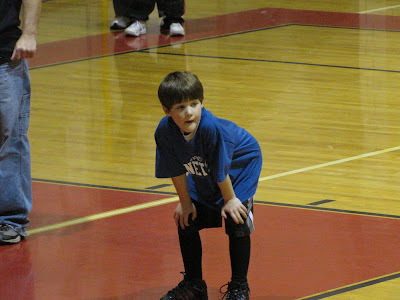 Will is 10 years old and loves whichever sport he is currently playing. He is a die-hard University of North Carolina fan and is pretty easy going. Caroline is my very spirited 7 year old. She can actually talk non-stop for hours on end and is unfortunately allergic to peanuts and treenuts. She keeps us all on our toes!